If you're working with sharp materials within a busy building site or industrial environment, hi-vis cut resistant gloves can be the difference between being safe and being sorry. 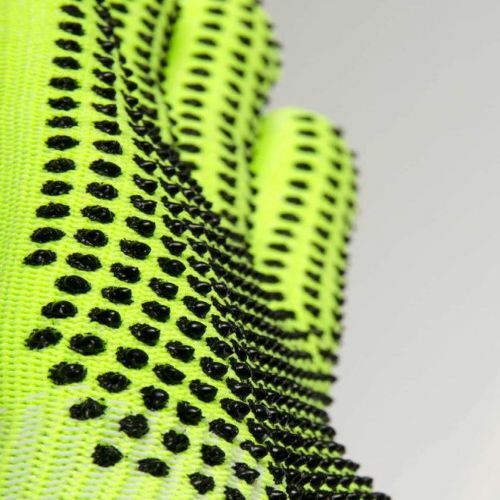 The Ejendals Tegera 907 High Visibility Cut Resistant Gloves have been developed with Ejendals advanced Cut Resistant Fibre (CRF) technology, offering exceptional dexterity for a high performance cut-resistant work glove. 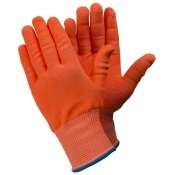 Offering a maximum level five EN 388 cut resistance, these gloves provide fantastic protection, and are as comfortable and flexible as they are protective. 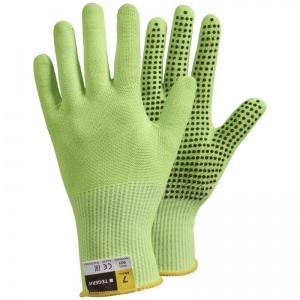 The Tegera 907 High Visibility Cut Resistant Gloves feature a palm dot grip pattern. This supplies fantastic grip, making the 907 suitable for handling an array of materials, including glass and brick. The Ejendals Tegera 907 are supplied in six different sizes. Please consult the table below for dimensions and select the appropriate size for you from the drop-down menu above.